The area was first settled by European-Americans after the American Revolution around 1815. This was historically the territory of the Native American Wenrohronon, who were driven out by the Seneca Nation in the Beaver Wars of the 1650s. Many of the early arrivals were whites who settled on Native American land with the informal permission and toleration of the tribal members. The area was a sparsely populated, rural, farming and lumber industry region until the arrival of four railroads. They made their hub at the community of Salamanca. The Town of Salamanca was formed in 1854 from part of the Town of Little Valley. At that time it was called the "Town of Bucktooth," named after a notable Native American who lived in the area. In 1869, the Town of Red House was created, taking away the south part of the Town of Salamanca. In 1870 the community of Salamanca began to set itself off, first as a village, and later as a city. According to the United States Census Bureau, the town has a total area of 18.2 square miles, all of it land. New York State Route 353 is a north-south highway in the town. The Southern Tier Expressway runs through the Seneca reservation in the middle of the town. New York State Route 417 closely parallels the Expressway. Salamanca is also a city, which is surrounded by the Town of Salamanca and lies on the Allegheny River. The city of Salamanca is the only U.S. city that was built on land leased from an Indian reservation. The lease from the Senecas is in effect until 2030. However, contrary to local belief, it is not the only city in the U.S. that is built on an Indian Reservation. According to the United States Census Bureau, the city has a total area of 6.2 square miles, of which, 6.0 square miles of it is land and 0.2 square miles of it (3.69%) is water. The City of Salamanca is located on a reservation of the Seneca Nation of Indians (one of the six tribes of the Iroquois Confederacy), and the city population of about 6000 is about 35% Native American. The Southern Tier Expressway (Interstate 86 and New York State Route 17) passes south of the city, as does US Route 219 and New York State Route 417. Once a major railroad town, Salamanca is a center for the hardwoods industry and forestry in the northeast. Maple, oak and cherry are hardwoods that are plentiful in this area. Salamanca was originally called "Hemlock," a name derived from the fact that there were numerous hemlock trees throughout the surrounding majestic mountains of the Mighty Ohi:yo'. In 1999, the past land leases for houses built on Indian land expired. Despite treaty agreements that declared all Seneca land as "free to buy," the Senecas have nonetheless declared all land bought on the reservation to not be owned by the purchaser, but leased from the Seneca nation. The previous leases had had only nominal payments. Many people living in the city did not agree on the amount of lease payments, and this caused bitterness, lawsuits, and appeals to government officials. In the end, the new leases were put into effect, and sixteen households were seized and their owners evicted from their homes for refusing to sign the lease. The current lease is in effect until 2030. The Seneca Nation of Indians opened a gambling casino in Salamanca in May 2004. About 1,000 new jobs were created. Significant change has not yet occurred in the city, with new construction in only a few select areas. Main Street and US Route 219 (which runs through the city) remains largely untouched with little to no renovation and is populated by cigarette, tobacco, coffee shops, gas stations and empty storefronts. 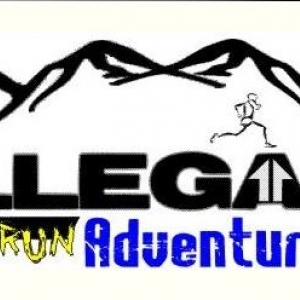 · Allegany Reservation – The Seneca reservation runs through the center of the town. · Allegheny River – The river runs through the center of the town and the Seneca reservation. · Allegany State Park – the largest State Park in New York State, lies immediately to the south, right in Salamanca’s back yard. A small part of the park is in the south part of the town. · Bucktooth Run – A small stream that enters the Allegheny River west of Salamanca City. · Jimerson Town – A hamlet southwest of the City of Salamanca. It is the home of the Allegany Reservation's governmental headquarters. · Kill Buck – A hamlet east of Salamanca on Route 219, named after a chief of a local tribe. · Little Valley Creek – A stream flowing into the Allegheny River in Salamanca City. · Newton Run – A stream flowing into the Allegheny River east of Bucktooth Run. · Salamanca – Most of the City of Salamanca is inside the town lines (and also inside the Seneca reservation). 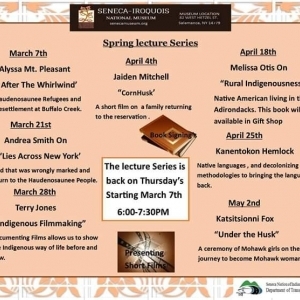 · Shongo – A hamlet inside the Seneca reservation on NY-417 in the southwest part of the town. · Titus Run – A stream flowing into the Allegheny River from the south. Once a major railroad town, Salamanca is a center for the hardwoods industry and forestry in the northeast. Maple, oak and cherry are hardwoods that are plentiful in the area. 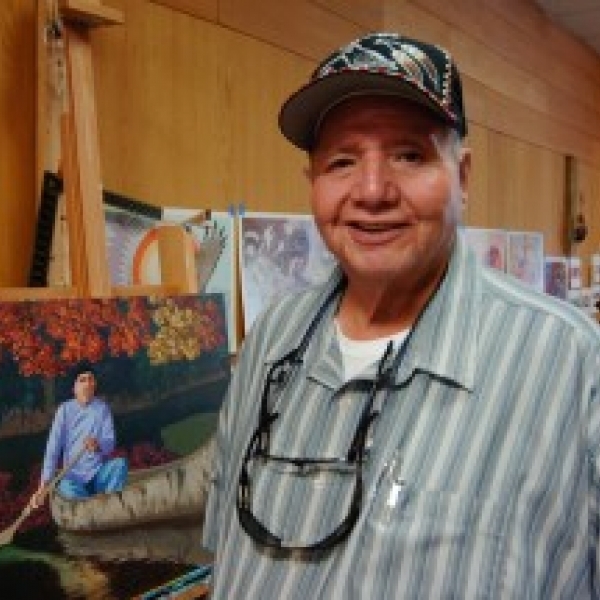 Carson Waterman paintings reflect Native American art, history and culture with vibrant colors. His works can be found in the Seneca Allegany Casino, the high school cafeteria, and the Smithsonian. His works embody his heritage and helps to preserve the Native American culture. 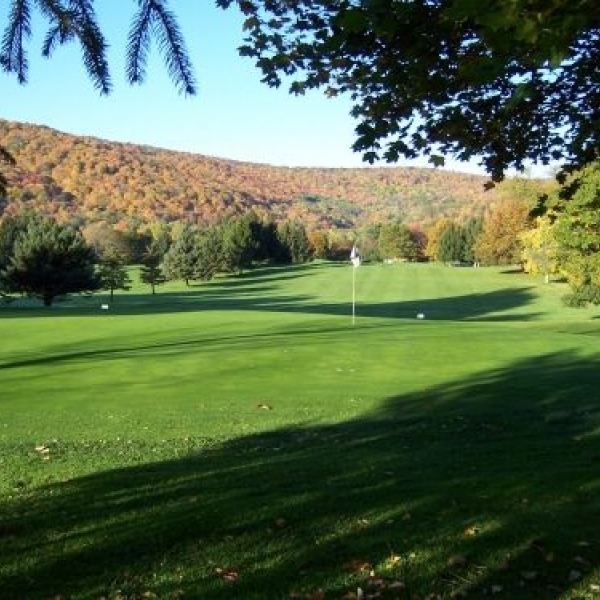 Elkdale Country club offers a challenging 18-hole golf course, beautiful scenery and complete restaurant and lounge facility. 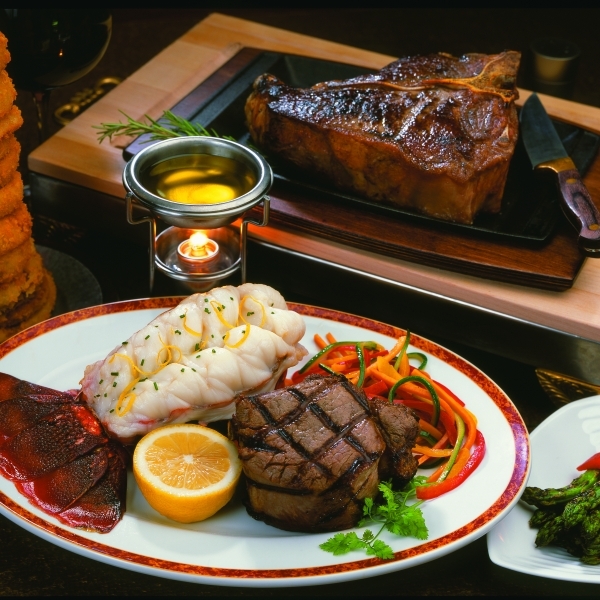 Elkdale's restaurant is available for dinner, banquets and private parties. Elkdale combines timeless natural beauty with contemporary refinement to create a one-of-a-kind recreational outing. 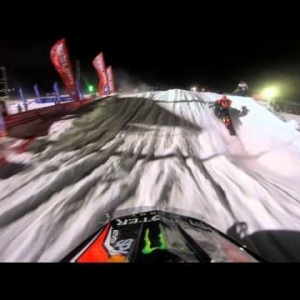 Check out the thrills of the twists, turns, and jumps along the track at Seneca Allegany Resort & Casino last year as they hosted the AMSOIL Snocross Regional Championships. View is from one of the riders as they are competing with a Go Pro! Coming back this year on February 6 and 7th! Tickets are on sale now! 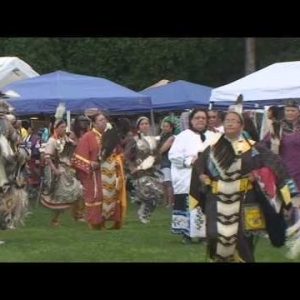 Seneca Tourism gives you a taste of what you will see at the Marvin "Joe" Curry Veterans Pow Wow happening July 18-20 in Salamanca, NY.